Macgo offers big discount on 2014 Thanksgiving day! 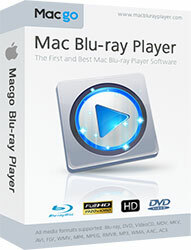 Macgo Mac Blu-ray Player is the first Blu-ray media player software for Apple Mac. Successfully play Blu-ray Disc, Blu-ray Menu, ISO file, and BDMV folder on Mac as well as on iOS devices. Macgo Windows Blu-ray Player is the best Blu-ray player software for Windows. It can play Blu-ray Disc, Blu-ray ISO file, and Blu-ray (BDMV) folder on all Windows operating systems, including Windows 8.1. 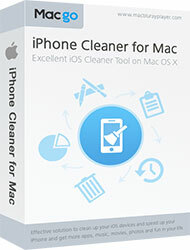 Macgo iPhone Cleaner for Mac is an excellent iOS cleaner tool run on Mac OS X. It can scan and strike out all kinds of junk files on iOS devices under perfect guarantee of personal information's security. Includes: Macgo Mac Blu-ray Player, Macgo Windows Blu-ray Player, Macgo Mac iPhone Data Recovery, Macgo iPhone Cleaner for Mac, Macgo iPhone Cleaner, Macgo iPhone Explorer for Mac. Up to 82% OFF - Shop at Macgo Store for More Thanksgiving Gifts!